Editor's note: This is # 15 in a series of posts by Dennis Horne about collectible books. The introduction is here. 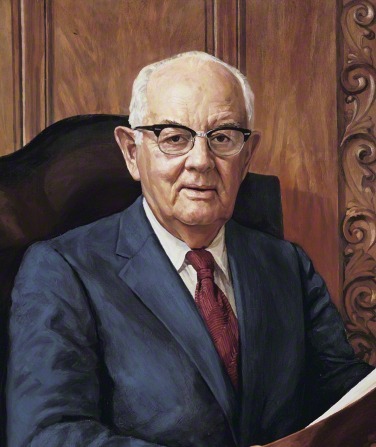 In 1969, just before October Conference, Spencer W. Kimball's book The Miracle of Forgiveness was published. The author meant it as a call to repentance and a guide on the road back from sin. For years he had said he intended to write no book, that there were books enough by others who had more talent. And for fifteen years he stuck by that resolve, despite the urgings of many who wanted him to write. Numerous addresses at general conference and at BYU had been reprinted, sometimes in thousands of copies, but they had been written as speeches and not as books. The experience which impelled him finally to write a book was the day-by-day counseling of people in trouble, the week-by-week interviewing of members being considered for responsible Church positions, the interviewing of missionaries as he toured the missions. He often carried home more weight than he could shoulder and tossed sleepless with what he had heard. It seemed that no sin or human weakness existed which had not affected some or many of those he consoled or challenged…. All these experiences with people in great need of repentance and forgiveness led ultimately to a book. He had started with jotting down scriptures for people to study, then he developed some lists for recurring problems. By 1959 he had finally decided that there was need in the Church for "an extensive treatise on repentance." He spent untold hours over the next ten years, primarily during the time in the summer and at Christmas when the General Authorities had no regular assignments and were expected to rest. He never stinted his regular work to write; writing was an extra. He soon found he had too much material, enough for two volumes. He liked to vacation where he could spread out his papers over several tables. After seven years he had all the chapters roughed out, but the manuscript was still unwieldy. Finally, by the fall of 1967, the book had been set in type and Elder Kimball had galley proofs to read. But in conference with Marvin Wallin of Bookcraft, the publisher, and Bookcraft's editor George Bickerstaff it was decided that the book would have to be reduced in size. The author insisted that the price be low enough for the people to afford it for whom it had been written, and the editor felt that the book would be more readable if compressed somewhat. With the advice of the editor, Elder Kimball struggled for another two years to convey the original message in fewer words. Elder Kimball passed the manuscript to Harold B. Lee, who pleased and embarrassed him by praising it in a meeting of the Twelve. Elder Lee said that on the basis of the half he had read "it was factual and heavily documented and adequate and covered the field beautifully." Delbert L. Stapley, who had read the manuscript, echoed those sentiments. Finally, in 1969, the book came from the press. Spencer gave copies to all the Church leaders, to relatives and friends by the hundreds, and to troubled people he counseled-something like twelve hundred copies. He had no expectation of selling a great number. But to his amazement the book quickly sold out the first printing. Less than a year after publication twenty-eight thousand copies had nearly been exhausted and the publisher arranged for a fifth printing. The book became a best-seller. By 1977 more than 250,000 copies had been distributed. In the thousands of letters from readers a few were negative…. But the response was overwhelmingly positive. As a result of the book the stream of people coming to see Elder Kimball about their moral transgressions grew greater still…. President Spencer W. Kimball has always been a prolific worker. He spent several summers working on a book which he later entitled The Miracle of Forgiveness. As one reads the book, particularly the first portion, one wonders if anyone will make it to the Celestial Kingdom. However, in reading the final portion, it is apparent that, with effort, all can qualify. As The Miracle of Forgiveness moved into its tenth printing at conference time in October 1971 and was scheduled for translation into four other languages, Elder Kimball continued to spend time working on the same sorts of morals cases that had first led him to write the book…. I think I recall reading in Ed's 2nd biography of his father that Pres. Kimball expressed some regrets years later, that perhaps he was too heavy-handed in his tone in the book. Can anyone corroborate this? That notion is perpetuated in a SLTrib article from July 2015, containing quotes from a gay activist trying to marginalize and diminish the book. I haven't tried to follow up on the particular item you mention. I did do a search in general conferences on LDS.org and found that Miracle of Forgiveness has been quoted over and over and over again by apostles in their talks, with Elder Scott being the most common apostle to quote and promote it. Seems the Twelve don't agree with Peggy's attempt to sweep the book under the rug.